We know the story of the Magi, the wise men bearing gifts, from the historical record, from outside of the Bible. It was a documented journey with many of the details unclear, and only the main crux of the story handed down to us. We know from history that a real-life baby was born in Bethlehem, during the Roman census, to impoverished parents; and that real men, great learned men, traveled from Persia and further east to pay tribute to this child. King Herod intercepted these Magi for questioning, and they explained to Herod that each of them, in their widely scattered lands, had shared an identical dream. They were told to follow a star to the birth of a child, for this child would become king. And we know that later, based on this testimony, Herod ordered the murder of all the male children of Bethlehem to ensure that this particular child would never grow up. The tribute these wise men brought was frankincense and myrrh. 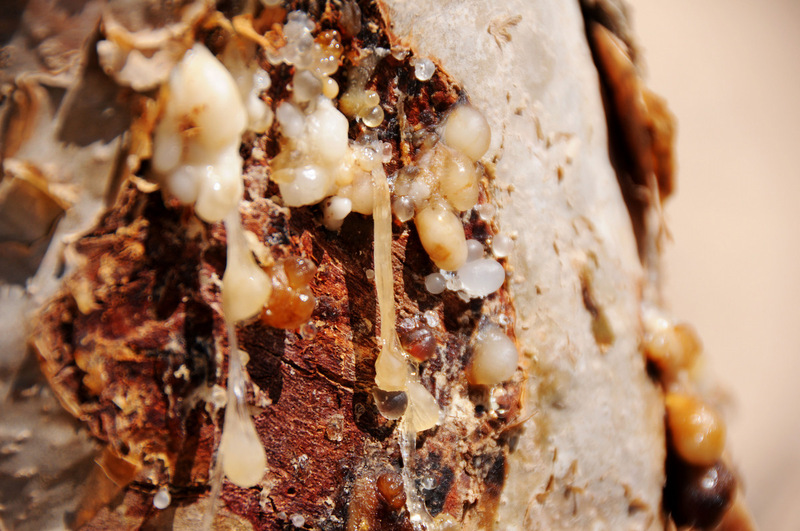 Frankincense comes from Boswellia trees, and myrrh from Commiphora trees. Deep cuts are hacked into the bark of these trees, and resin oozes from the wounds. The resin forms tear-shaped drops, at the cuts, and these drops of resin are removed to process into the finished product. 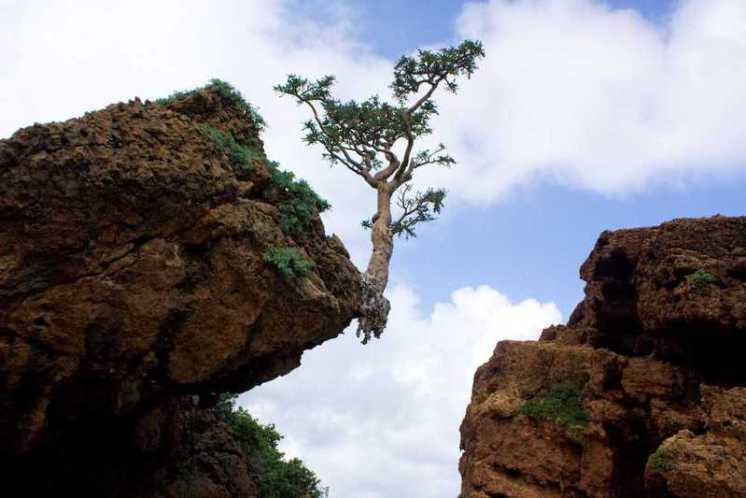 Frankincense was very rare; it was a balm and a sacred oil. Myrrh was a fragrant perfume, and was also used as an embalming fluid. The trees that make this product are tough and resilient; they grow in the thinnest of desert soils, and even into the sides of rocky cliffs. They are not killed by their cuts, but instead they grow back from the cut places. They regenerate from their wounds. These gifts were powerful symbols to place at the feet of a child–a foreshadowing of the scars and the pain that loomed in the future of this newborn baby. It was the most momentous birth in the history of the world, but no one at the time understood this—no one except these Magi. These learned men walked all the way from Persia and further east, an incredible journey of faith, chasing a star across the desert, until they came to a stable on the outskirts of Bethlehem. They walked into the stable where a new mother sat among the animals, and these great men knelt down in the dirt and prostrated themselves before the child, the King of Kings, and they worshipped him. They brought their most precious gifts to present to their new Lord, frankincense and myrrh, gifts they had harvested from their own gardens. Thank you much Cindy! Our little one is due Jan 1st, but she may come any day. Thank you so much for your best wishes! Merry Christmas Eve! All the best to you and your family! on earth. Merry Christmas and blessings to all!